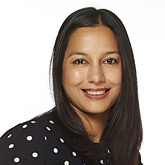 Dr. Priyanka Thapliyal relocated from London to Guernsey in 2015 along with her husband and two daughters. She qualified as a doctor in 1998 in India and went on to do a Masters in Mother and Child Health at the Institute of Child Health, University College London in 2001. Priyanka pursued a career in Obstetrics and Gynaecology, Genitourinary Medicine and Forensic Gynaecology at Mayday Hospital and King’s College Hospital in London for a few years before moving onto family medicine. She qualified as a GP in 2010 from St. Thomas’ VTS in London, obtaining the Membership of the Royal College Of General Practitioners in the same year. Since then she has worked as a GP in London. Priyanka enjoys all aspects of family medicine. Her areas of interest are reproductive and sexual health and child health. She is married and has two daughters and a dog. In her spare time away from work, she enjoys travelling with her family and is an enthusiastic cook.